Try something different these holidays, and enjoy a break with the kids that they will remember for years. Farmstays are a great getaway that cost a fraction of the price of your regular holidays options but are also a unique learning experience for the kids. With school holidays fast approaching, it’s best to start thinking about your plans. Farmstay holidays offer a unique holiday experience and support local farmers. They are also a great environmentally friendly and sustainable alternative to mainstream holiday options. Set in the lush Kangaroo Valley, this beautiful 1,200 acre property is surrounded by a national park, and a is highly successful cattle and horse breeding farm, which offers fantastic high-end accommodation and a working farm experience. Guest will get the chance to participate in wildlife spotting, as well as see and feed the many farmyard animals including cattle, horses, chickens, sheep, goats, pigs, as well as donkeys and peacocks. At night, you can even take a guided tour of the small glow worm community shining nearby the creek. Here your stay includes accommodation, all day activities, and three meals a day, plus access to the whole farm. Activities include horse riding, tennis, swimming, table tennis, canoeing, archery, boomerang throwing, sheep shearing, whip cracking, bush dances, campfires, farmyard activities including feeding the cattle, collecting eggs and milking the cows. On weekends and school holidays, the farm runs a kids' club for a couple of hours during the day and after dinner, giving parents some time to themselves. This cattle and sheep farm is set in the heart of the Snowy Mountains, 10 minutes from Jindabyne. Spanning 64 hectares, there is plenty to explore with walking and bike tracks spread across the property. Guests can also mingle with the farm animals including chickens, alpacas, cows, sheep, a mountain brumby, pony and mini horse. Highland Lodge also encourages guests to collect free-range eggs and pick homegrown veggies to cook back at the self-contained farmhouses. Located in the heart of the Riverina is this working wheat, sheep and cattle farm. 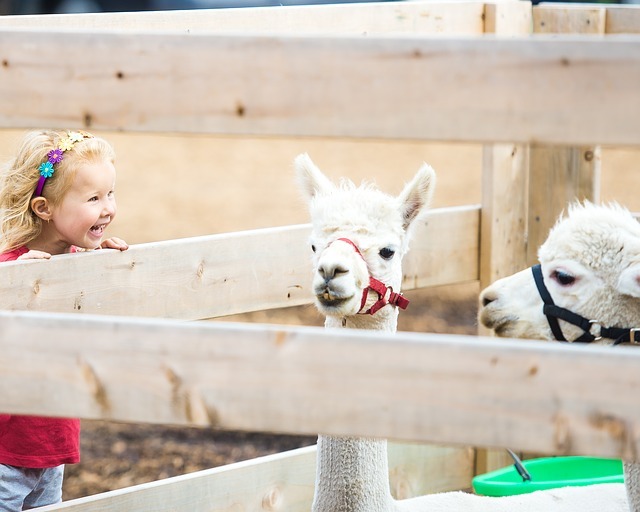 Guests can experience a realistic insight into the everyday farming life of an Australian family as they come along for the daily rounds and feeding animals, which include chicken, ducks, pigs, alpacas, turkeys, horses, kangaroos and camels. There are a number of things for the whole family to do to including wagon rides, horse riding, sheep shearing, cropping, harvesting, picnics along the creek, bushwalking, ute rides, yabbying. There is also a pool, two tennis courts, and soccer field if the farm activities don't tire you out. Tobruk is a working sheep station set on 60 hectares of farmland and is surrounded by state forests and bushland. Guest can enjoy the charm of the rustic buildings, blacksmiths shop, and farm machinery while also taking part in some activities like learning how to shear a sheep, make billy tea and damper and cracking a stock whip.